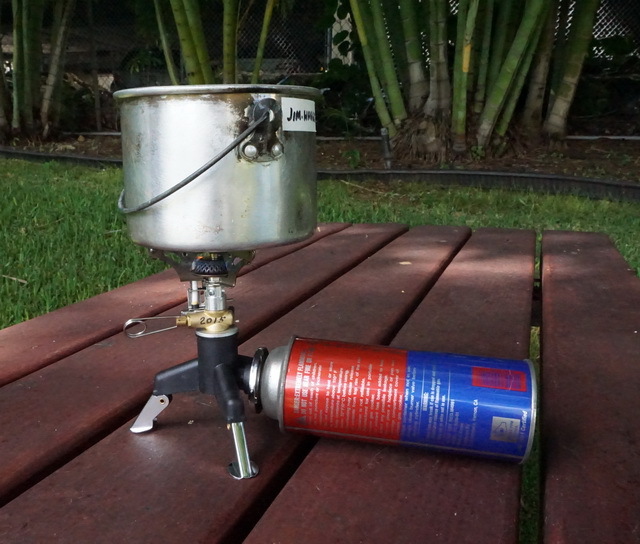 Butane backpacking stoves are popular in the U. S. They are clean, lightweight and convenient. The major disadvantage is that they use disposable cannister which are not always available everywhere. The cannisters average approximately $6 each in 2017 prices. With current TSA rules, you cannot fly with cannisters as baggage. You need to obtain them at a location after your flight. This not always an easy task. One alternative is to use the readily available and popular tabletop butane stove aerosol-can-sized butane cartridges that sell for approximately $2 a can at many local stores such as Walmart, CVS (Longs) drugstores, Target, Home Depot, Lowes and similar convenience and hardware stores. 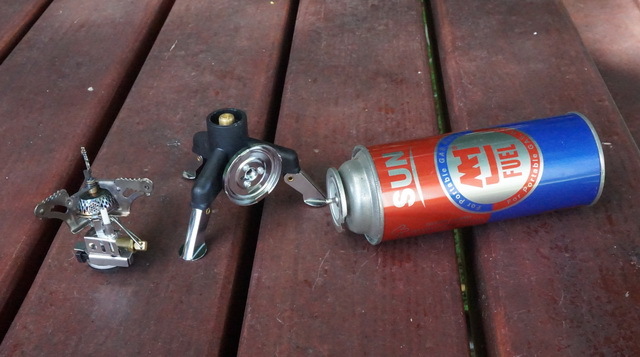 There are many adapters available online (ex: eBay) to allow a cartridge to connect to a backpack butane stove. However there is an inherent hazard due to the design of the cartridges that if they are not positioned correctly and stably during operation it may create rapid flaring and can result in a fire or explosion. I found one adapter that allows a cartridge to lock in a stable position with a backpack stove screwed on top. It costs $4.93 US at Aliexpress.com (2017). 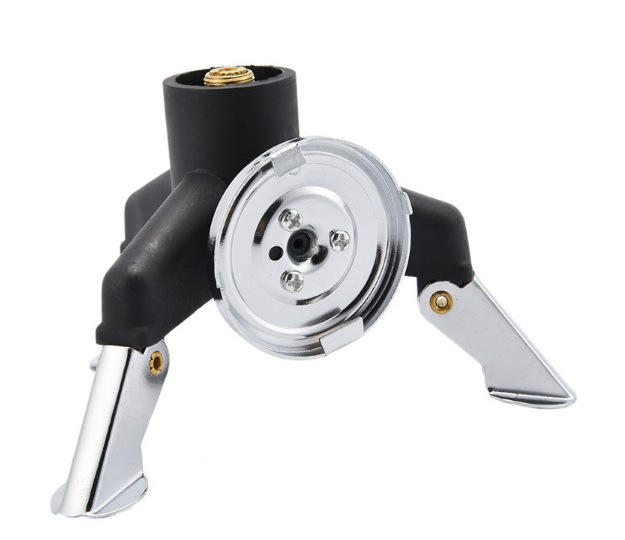 The advantages of this butane adapter is that you can use your normal backpack stove, fly to your destination, buy a readily available cartridge and cook with less hassle.